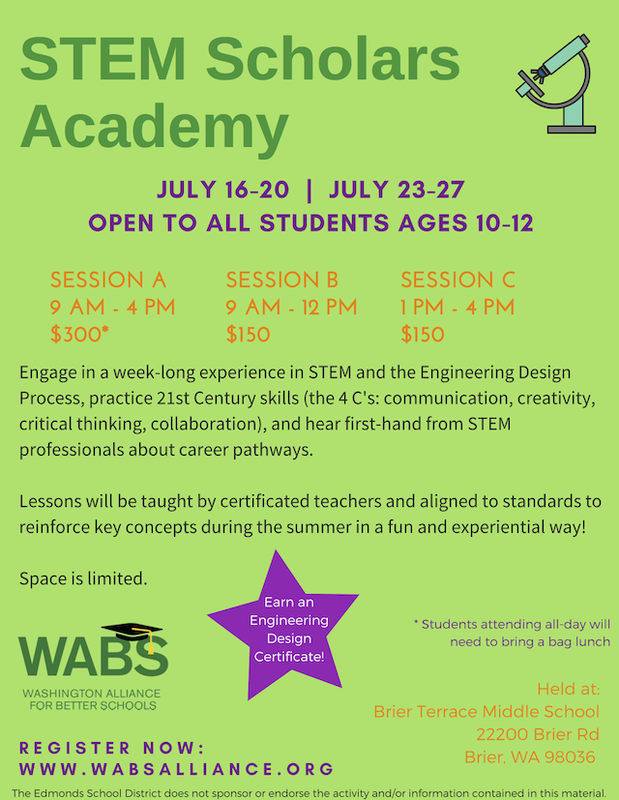 Washington Alliance for Better Schools (WABS) is hosting the STEM Scholars Academy - a weeklong summer experience for students ages 10-12. The class will be hosted at Brier Terrace Middle School but is open to any interested student in the region. Brier Terrace Middle School, 22200 Brier Rd, Brier WA 98036.